Ko Matsushita: Bio & Choral Music | Santa Barbara Music Publishing, Inc. Composer and conductor born and raised in Tokyo, Ko Matsushita graduated at the top of his class from the Kunitachi College of Music, Department of Composition, and went on to study the Chorus Conductor master course at the Kodaly Institute in Kecskemét, Hungary. He is currently the conductor and artistic director of 11 choirs, which are often invited to perform in Japan, Europe, America, Canada, and Asia. They have also achieved excellent showings in the choral circuit and won awards in international competitions. A prolific composer and arranger, Matsushita’s works are performed not only in Japan but all around the world. His compositions vary widely, ranging from works based on traditional Japanese music, Masses, motets, to etudes for choirs. His works are published in Japan by Edition KAWAI, Ongaku no tomo sha Corp., and overseas by SULASOL (Finland), Carus-Verlag Stuttgart (Germany), Annie Bank Edition (the Netherlands) Porfiri & Horváth Publishers (Germany) and Santa Barbara Music Publishing (USA) among others. Besides conducting and composing, Matsushita is also an active workshop clinician and lecturer both within and outside Japan. In recent years, he has adjudicated at the Singapore Youth Festival Central Judging and Arts Presentation (Singapore), the Seghizzi International Choral Competition (Italy), the Hong Kong International Youth & Children’s Choir Festival (Hong Kong), the Tolosa International Choral Competition (Spain) and Florilège Vocal de Tours (France) and so on. In 2005, he became the first Asian to receive the“Robert Edler Prize for Choral Music in recognition of his outstanding achievements worldwide in conducting, composing, performance, and education within the field of choral music. He is currently board member of the Tokyo Choral Association, as well as a member of the Japan Choral Directors Association, the International Kodaly Society, and a representative of the Workshop of the Choral Expression. Furthermore he is a member of Japan Composers & Arrangers Association, Guest conductor for Beijing University Mixed Choir. 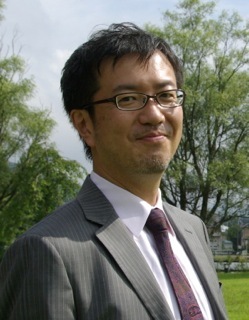 Ko Matsushita has 1 titles published with Santa Barbara.